Miami is known for its gorgeous views - from palm trees to shorelines. The city has been plastered throughout a variety of films and shows as this pinup paradise. But sometimes the most beautiful sights in Miami can be found on its farms and fields, where fresh produce, flowers, and tropical fruits dot the landscape. Harpke Family Farms does not have those expansive fields to farm, but instead offers some of the best local organic microgreens and edible flowers on an urban farm in Dania Beach. 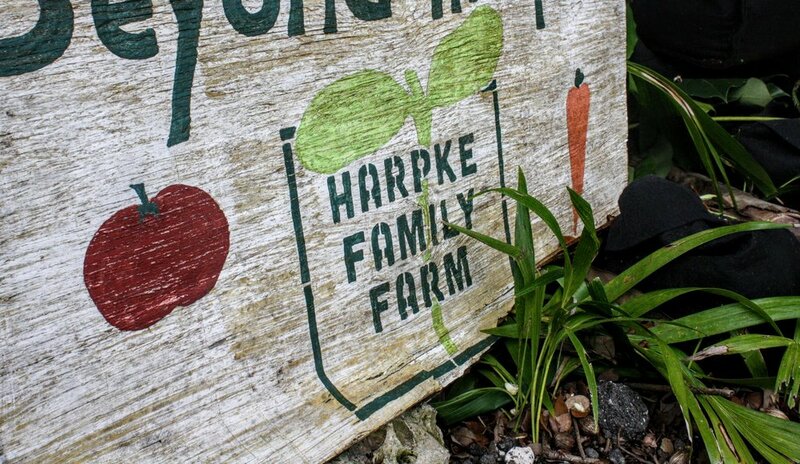 Fortunately for all of us, one does not have to embark all the way to Dania Beach to taste what Harpke Family Farm has to offer. Yes, one-time “Tomato Capital of the World” Dania Beach is home to this fresh hidden gem. In fact, while they most likely have supplied some fresh greenery or florals for one of your most recent sustainably-inclined meals out (see: Alter, Stubborn Seed, KYU), visiting the farm is by appointment only. Tamer and Claire Harpke came to the current property about a year after establishing Harpke Family Farm in 2013, originally growing from home. While neither of the two had any official background in agriculture, Tamer is described by his counterpart as having “always been a plant-nerd” and Claire can still remember when eating seasonally just meant visiting her uncle’s farm. In moving, they approached the previously uncultivated land with the necessary zeal of young farmers and the aid of their experienced teammates. There is a strong sense of unity as Claire describes their ongoing, unintentional process of “cultivating more than crops, creating a community, organically”. That element of trust emanates from all corners of the farm, from the luminescent greens to the affable rapport of the crew. With constant consciousness, the pair has seemed to carefully consider not only who works for them but who they work for, by limiting their CSA program and self-distributing to restaurants. In doing so, they not only keep a league of people aligned with their own intentions but also further close the gap between society and food. 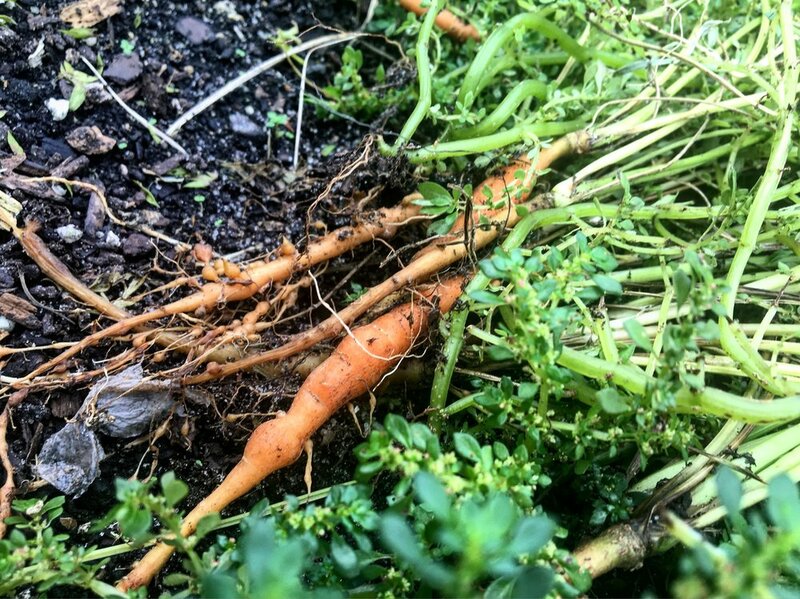 Harpke Family Farm produces a small variety of fresh food, such as microgreens, edible flowers, and petite root vegetables. There is a firm directive of doing a limited amount of species really well rather than covering a myriad of varietals with unpredictable yields. The consequences are visually striking as small, neat rows of plants shine back on an especially hot Miami day, defying the summer sun while simultaneously photosynthesizing its energy. The pursuit of being both sustainable and sincere (because there is definitely a misconception that those two qualities go hand-in-hand) is ubiquitous here. Hydroponic systems have been skillfully structured under a shade house beside another sheltering a multitude of plants including Everglades Tomatoes, Seminole Pumpkins, and a variety of herbs. A cargo container upcycled into a temperature-controlled room allows the farmers to create their own sort of micro-climate if need be for planting in extreme Miami weather. A compost heap is being tended to in the background in an all-hands-on-deck fashion. A plot of land beneath coconut trees bearing their very own warning signs has been set aside for more Grow Bags as the farm gears towards further progression and new growth. Don’t let this tantalizing scene fool you, though. Beyond the fertile scenery and palpable harmony amongst the team, Harpke is decidedly not the romantic urban farm story we are all desperately grasping for amidst our post-Art Deco metropolis. Because, in all honesty, they really aren’t trying to be. Tamer and Claire have backed their business with a significant value in mind: practicality. From what and where they would grow to how and who, every decision has been laden with efficient purpose. The catalog of seeds planted include varietals that are low-risk, drought-resistant, and simply make sense for their hardy, zone 10b micro-climate. The hydroponic systems allow for growing lettuce year-round while simultaneously being eco-friendly. Grow Bags render porous, aerated soil rather than constantly amending the Dania earth below ground. They also come in handy when a serious hurricane warning necessitates finding shelter for a mass of plants. Even the aforementioned decision of their current location was based on the rationale of distance from home and availability. Despite the almost spiritual transcendence, this team has strummed into its whereabouts, Harpke Farm is firmly rooted in logic as well as categorical precision. Overall, Tamer and Claire Harpke have managed to build a rather successful urban farm amidst an unlikely, but not unlike themselves, area. With jumbo jets overhead making their approach to FLL, they have progressed by being accepting and resourceful - by learning to understand the terroir of their environment and absorbing the wealth of knowledge of those around them. They have persevered through obstacles ranging from dangerous pests to a government that seems a bit estranged from the needs of local farmers. They have educated a population of people through the close point of contact in sales by creating a "Farm Table" Dinner Series that allows people to dine under their Seminole Chickee Hut on the actual farm. The next “Farm Table” dinner is Sunday September 30th from 6:30- 9:30, where South Florida native & US Navy Veteran, Chef Cleophus Hethington (Matador Room, Four Seasons Surf Club, Alter) will convey his passion for the cuisine of the African Diaspora through this Ębí Chop Bar Pop-Up at Harpke Family Farm. Get your tickets here. Tamer and Claire have created a unique culinary experience through flavor and freshness before their produce even arrives at a kitchen. In a city where sometimes the flashy veneer of so many is blinding, Harpke Family Farm has generated a beauty of substance, and one worth tasting at that.